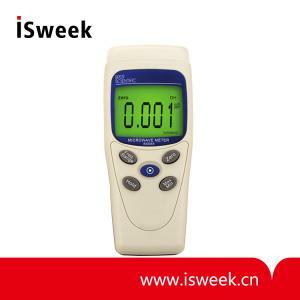 The Microwave Meter is calibrated precisely on the frequency value 2.45 GHZ (microwave oven). Features maximum and minimum hold, an audible alarm, and a zero adjustment to eliminate background EMF. The display also indicates overload and low battery. Comes with a soft carrying case and standard 9V battery, which provides approximately 100 hours of use. Dim: 5" x 2" x 1¼" (127 x 51 x 32 mm). Weight: 5.4 oz (153 g).